$68 per one, $1360 for 20 pieces. Best price already, no discount can be applied to this order. 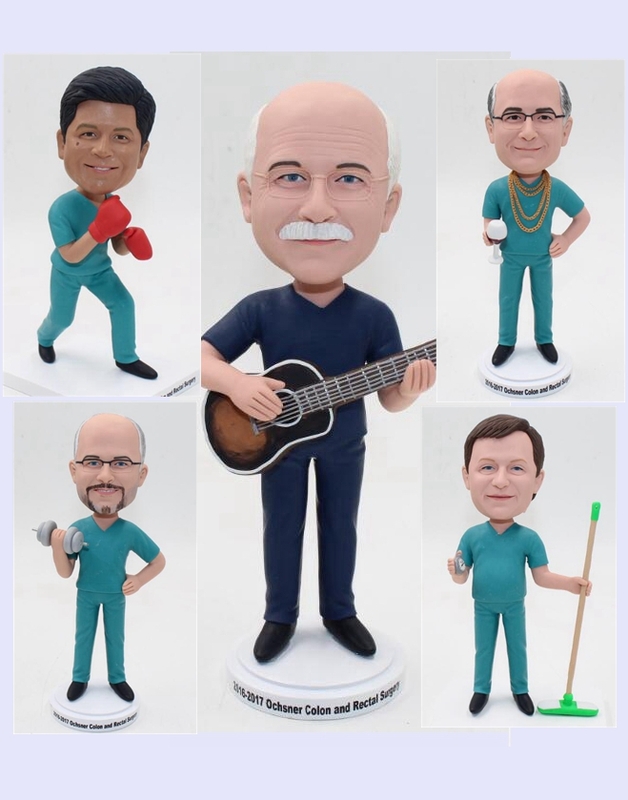 This custom bobbleheads bulk order 100% (from head to toe, clothing..) made from your own photos and instructions, every bobbleheads is 100% handmade with fine polymer clay. 3, Production lead time:2-3 weeks for order quantity less than 100, 3-6 weeks for order quantity 100-1000. By T/T, 30% deposit in advance and 70% balance paid before shipment for order more than 100 bobbleheads.. Please contact service@wowbobble.com to get more information before or after you place the order.